(also see in .pdf format). This Analytic Brief is the second in our series regarding Strategic Doctrines in the Asia-Pacific. For previous documents see the dedicated section. China has systematically presented its Belt and Road – or One Belt, One Road – Initiative (BRI) as an international development project, destined to build a “community with a shared future for mankind” throughout Eurasia and beyond. In official discussions and statements, Beijing has carefully avoided the word “strategy,” which might have created the impression that the generous offer of massive investments in infrastructure along the new Silk Road conceals in reality an imperial and hegemonic design. Nonetheless, suspicions as to the real motifs of the BRI persist, especially in light of the Chinese military buildup and reforms undertaken in recent years. This military rejuvenation of the nation launched by President Xi Jinping since 2013, coupled with controversial territorial claims in the South China Sea and with the promotion of an alternative model to the Western order, has some in Europe wonder whether China’s offer of cooperation is sincere. 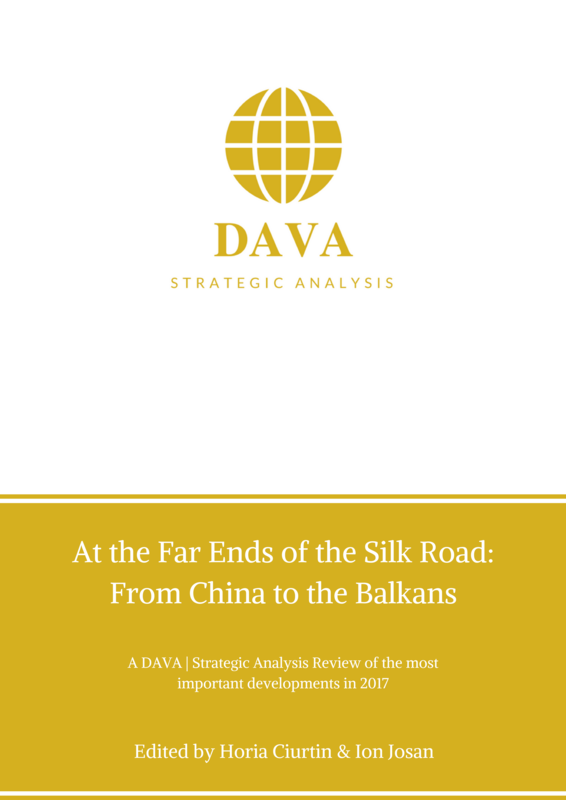 Iva and Zelimir Zivkovic have rightly observed in a previous DAVA Mercantile Digest that “China is a State and a rising global power, not a corporation or (even less) a charity foundation. As has been shown by the recent votes by Portugal and Greece concerning the E.U. position on China and investment screening procedures, crucial economic support in times of need can translate into remarkable political clout.” This is precisely the reason why the Chinese presence in Europe is more and more perceived not just as an opportunity, but also as a threat, including to national security. In the current era of fast technological change and growing importance of innovation, Chinese investments have become a specific concern for many European officials, who worry about the integrity and competitiveness of the local industrial base, especially in strategic sectors. To address these concerns, the European Union and the governments of certain Members States have envisaged the imposition of restrictions on foreign direct investments (FDI), often focusing on areas such as artificial intelligence, cyber and other sensitive technologies. In particular, the Commission has proposed last year a new regulation for the control of FDI in the E.U. Although a welcome development, the uniform implementation and the ultimate effectiveness of such measures look anything but certain. Yet, they are absolutely necessary if Europe wishes to protect its critical economic assets and rebalance the asymmetric relationship with China in terms of FDI inflow. For many years, the dictum of the Chinese foreign policy has been that of “peaceful development” or, according to some other iterations of the same formula, of “peaceful rise.” Expressing the vision of a great power with global ambitions, the BRI is obviously part of this “peaceful rise” and the guarantee of China’s continued economic growth. At the same time, the two components of the BRI, namely the Silk Road Economic Belt and the 21st Century Maritime Silk Road, should also allow China to project itself more easily beyond its borders and rise not just economically, but politically and, one would say, militarily. The China-Pakistan Economic Corridor (CPEC) is one example illustrating the close connection between the economic and the military aspects of China’s foreign investment policy. Through CPEC, China has been financing four railways, three roads and one canal projects, which should contribute to the belt around China’s Heartland. At the same time, the road to China’s growing maritime influence in the Indo-Pacific goes via the port of Gwadar in Southern Pakistan. On the other hand, this access is likely to be exploited by PLAN to enhance its presence in the Indian Ocean and deploy force projection capabilities. China has invested in the development of a deep-water port there, which means that Gwadar might be able to host a blue-water navy, such as the Liaoning carrier group. While Beijing has been obviously careful not to associate this development project with any military purpose, analysts agree that China could at least use port facilities in the Indian Ocean on a commercial basis for specific purposes and contingencies, for example, for the positioning of Chinese “civilian” service providers or of spare parts and munitions. China is well aware of geopolitical theories, such as those developed by the American naval strategist Alfred Thayer Mahan and linking the dominance of the seas to economic prosperity and great power status. Accordingly, Beijing has undertaken to establish a vast network of naval facilities in South Asia, which includes, in addition to Gwadar, the ports of Chittagong in Bangladesh, Hambantota in Sri Lanka, Marao in the Maldives and Kyaukpyu in Myanmar. In the future, ports in the Mediterranean will join this network of Chinese-developed maritime installations in the Indo-Pacific. Thus, Venice will be the Maritime Silk Road’s final destination in Europe. To take advantage of the BRI’s investment potential, Venice has already formed with the Italian port cities of Ravenna and Trieste and with those of Koper (Slovenia) and Rijeka (Croatia) the North Adriatic Port Association (NAPA). Due to such initiatives, China’s influence is likely to expand far away from its shores. The maritime road, therefore, contributes decisively to making the Chinese Dream of “national rejuvenation” a reality. President Xi’s “dream of national rejuvenation” also has a military component. China’s return on the world stage as a great power is impossible without modern armed forces, able to compete with the forces of the other great powers. This is also a question of national pride. The Chinese have a vivid memory of the country’s humiliation by the “Western imperialists” during the Opium Wars of the 19th century. Accordingly, the Chinese leadership “has made modernization an explicit goal, citing the need to catch up with the West,” including with regard to weaponry. In practice, since 2015 the Chinese government has stepped up investments in new equipment and military capabilities. China may afford such investments due to a steady increase in defense budgets. According to SIPRI, China increased its military spending by 5.4% to $215 billion, a much lower rate of growth than in previous years, but still quite impressive. The real level of Chinese defense spending is, anyway, a subject of controversy. What is certain, however, is that China is today the second largest military spender in the world after the United States and, subject to sustained economic growth, will likely keep up defense spending in the years to come. China has used this money to develop sophisticated guns, aircraft, missile systems and, of course, ships. Indeed, China has spent considerable amounts on the modernization of its maritime assets. In addition to the JIN-class ballistic missile submarines and sea-launched ballistic missiles, ensuring a secure second strike capability for strategic deterrence, PLAN possesses the largest number of vessels in Asia, including multi-mission ships equipped with advanced anti-ship, anti-air and anti-submarine weapons and sensors. His stated ambition is to make China the global leader in innovation by the middle of the century, when the country should also reach the status of the most powerful military force on the planet. To achieve these goals, Beijing already uses a variety of means, including the acquisition of stakes in foreign companies at the forefront of the current technological revolution. DAVA’s expert Nani Klepo usefully exemplifies this aspect with her reference to the investment made by the Chinese Camel Group in the Croatian electric cars manufacturer Mate Rimac. Such tactics, in turn, raise concerns in the host countries, where governments now begin to realize that Chinese investments represent in reality a double-edged sword. This comes as no surprise. In the words of DAVA’s senior expert and co-founder Horia Ciurtin, “China … must ensure … that it can first benefit from European know-how in order to increase its own innovative capacity.” This means that Europe must carefully assess any transfer of know-how to Chinese companies, especially when such transfers could affect key technologies concerning the national and economic security of the Union and of its Member States and, most probably, the future of warfare. And this is what the EU intends to do from now on, by putting in place a screening mechanism for foreign direct investments. Similar mechanisms already exist in 12 Member States, where governments review FDI in strategic sectors on national security grounds. In order to stop what it calls “technological looting,” France, for example, has strengthened its regulations by extending the authorities’ scrutiny of acquisitions of French companies by foreign entities to new sectors, including digital data and artificial intelligence. Building upon such national measures, the European Commission has advanced a Proposal for a Regulation establishing a framework for screening foreign direct investments in the European Union. In addition, the Commission envisages establishing a cooperation mechanism to harmonize the practices of the various Member States. Most importantly, it seeks to protect projects and programs of Union interest against non-transparent investments, in particular in the areas of research (Horizon 2020), space (Galileo), transport (Trans-European Networks for Transport, TEN-T), energy (TEN-E) and telecommunications. The Commission’s task will, however, not be easy. With time already running out, the adoption of the proposed regulation will take years, not months to be completed, since it supposes following the complex decision-making process under the ordinary legislative procedure set out in Articles 289 and 294 of the Treaty on the Functioning of the European Union. Moreover, this procedure involves not just the Commission and the European Parliament, but also Member States represented in the Council, who are likely to have the ultimate word on the matter. Unfortunately, Europe is split between those at the center, who worry about the potentially nefarious purposes behind Chinese investments, and those at the periphery, who crave for foreign funds to support their weakened economies after the debt crisis. As indicated above, a group of opponents to the screening mechanism has emerged, consisting essentially of states from southern Europe, notably Greece and Portugal. Finally, foreign investment screening mechanisms have their own drawbacks and may prove to be at best ineffective and at worst counterproductive. Like any restrictive measure, the proposed regulation may be perceived, especially in the current climate of confrontation on trade issues, as a protectionist move, thereby exercising a deterrent effect on direct investments. The challenges to the Commission’s proposal are, therefore, numerous. Europe must, nevertheless, confront them. “Timeo Danaos et dona ferentes” goes the old saying about Greek gifts. Today, one should beware of China bearing gifts. Without discarding the benefits of the participation to the BRI, the institutions of the European Union and the governments of its Member States must primarily ensure a level-playing field for European companies in an increasingly competitive economic and geostrategic environment. Europe should bear in mind the thoughtful words of Graham Allison: “the Chinese view holds that China’s rightful place is atop the pyramid; other states should be arranged as subordinated tributaries.” The EU should never accept a subordinated role, but rather work to develop a partnership among equals with Beijing. Ioana Petculescu, guest expert of DAVA | Strategic Analysis, is a lawyer specialized in international arbitration and litigation, practicing in Paris. She acts as a consultant for the aerospace and defense industry and as an expert for the European Union. She received a PhD in public international law from the University of Strasbourg, where she started her career as a lecturer. In addition to law, she also studied international relations, conflict analysis and geopolitics at the Catholic University of Louvain.